Stackable plastic armchair for outdoor use. 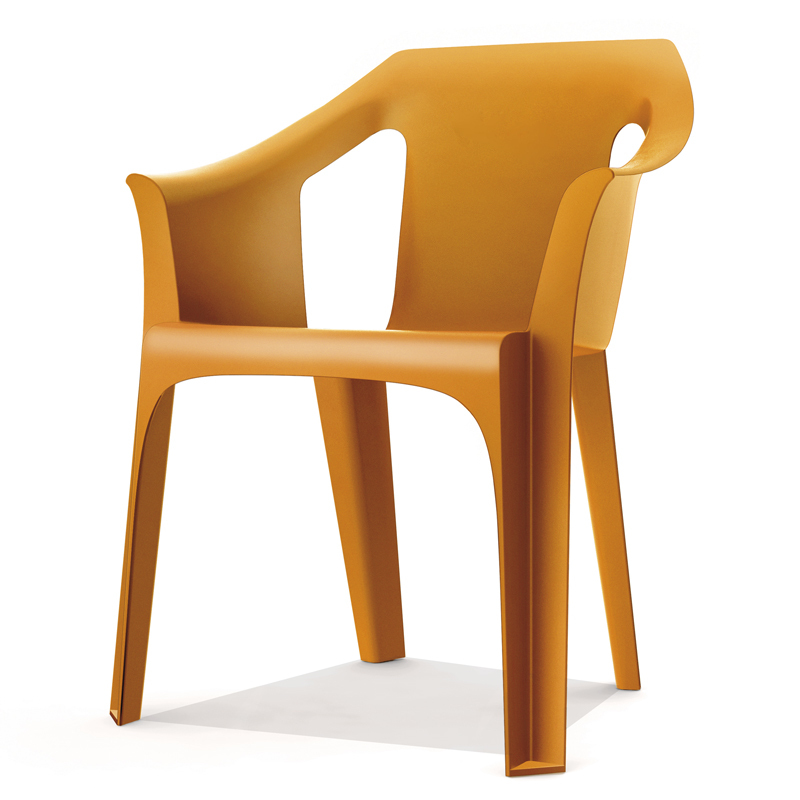 Made by injected polypropylene, with non-slip legs and textured seating and backrest surface. Available in 5 different colours.